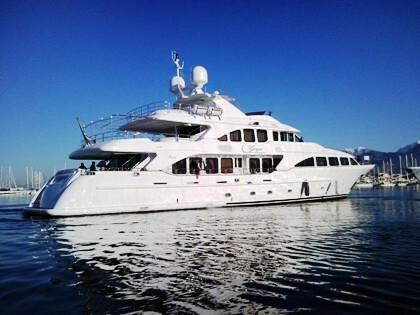 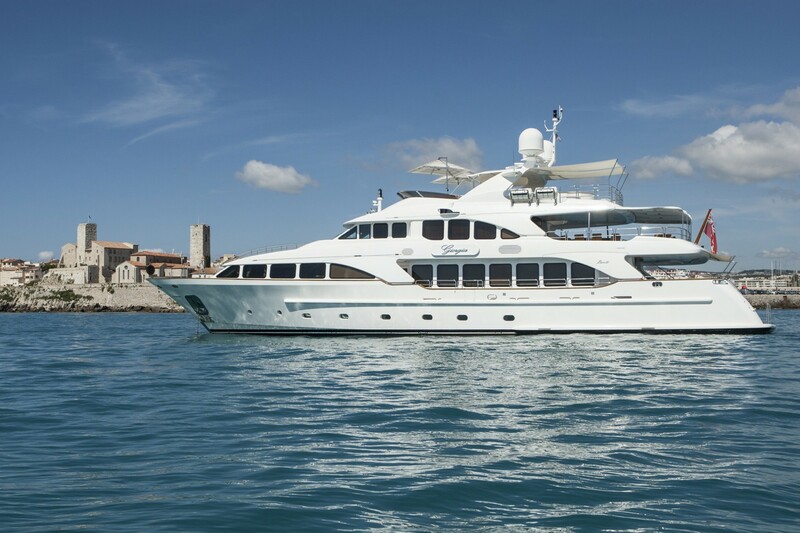 GIORGIA is a 2009 Benetti Classic 120’ motor yacht series of 36,60m (120’) in length. 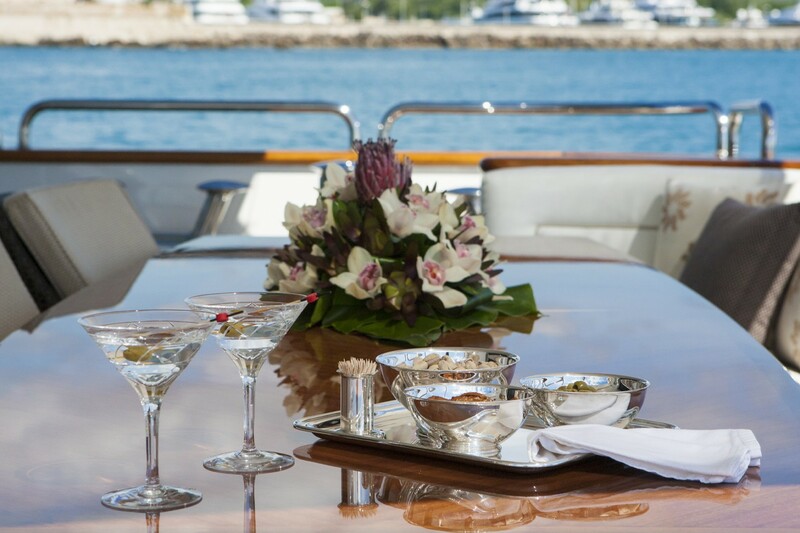 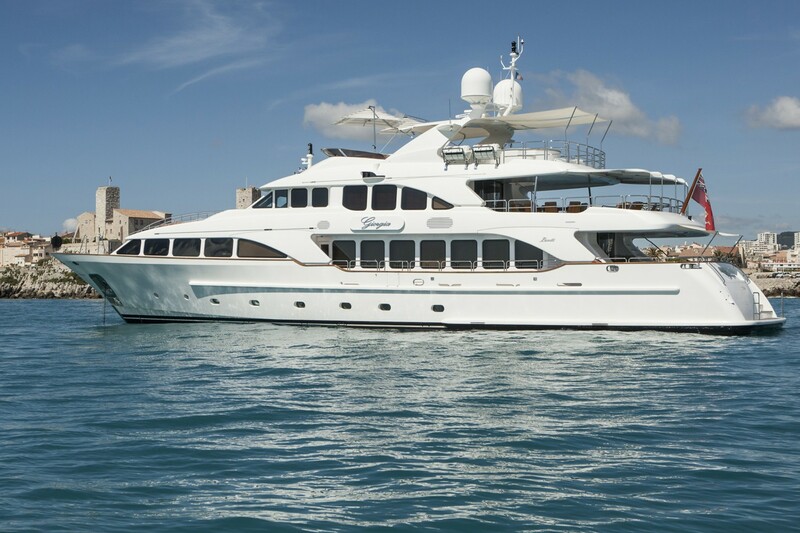 M/Y GIORGIA is a well sized charter yacht which represents good value in the charter market. 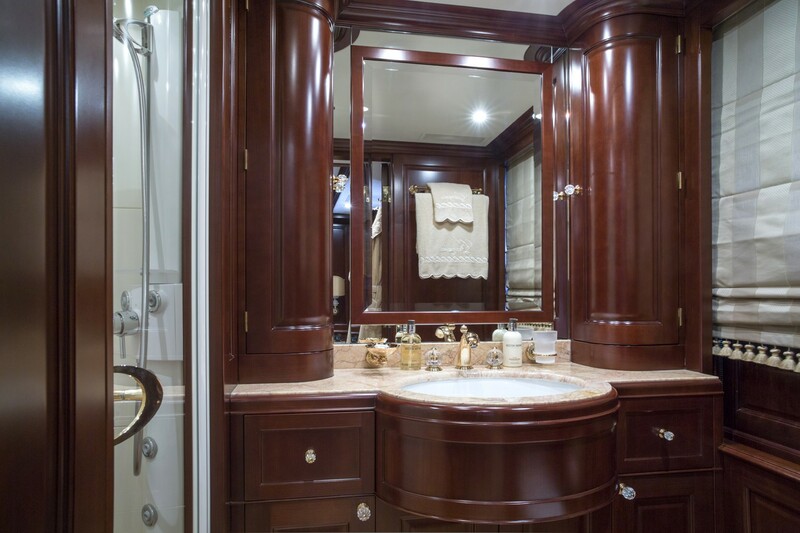 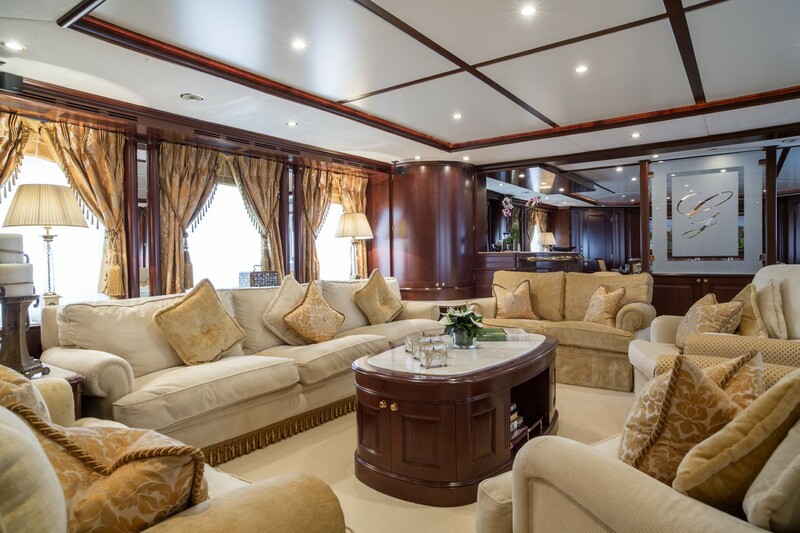 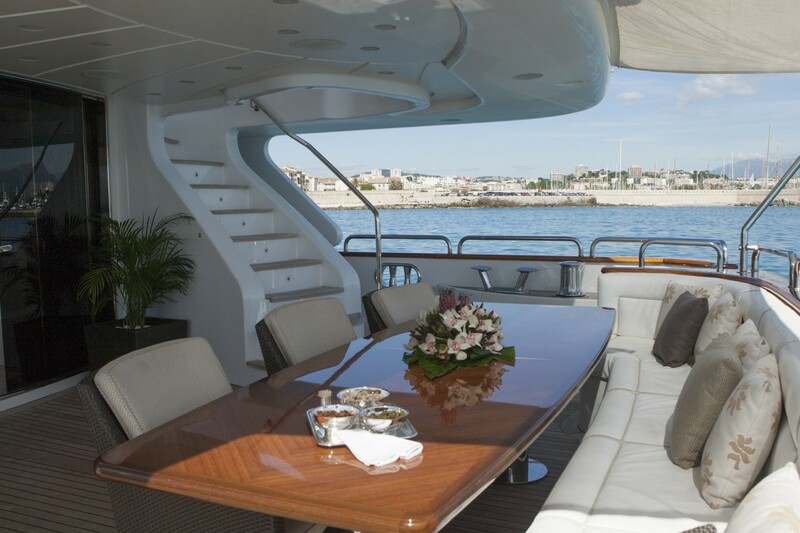 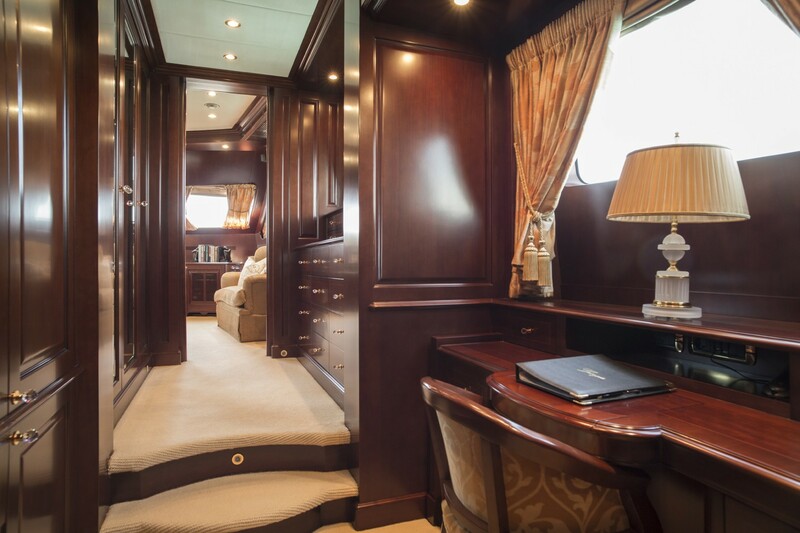 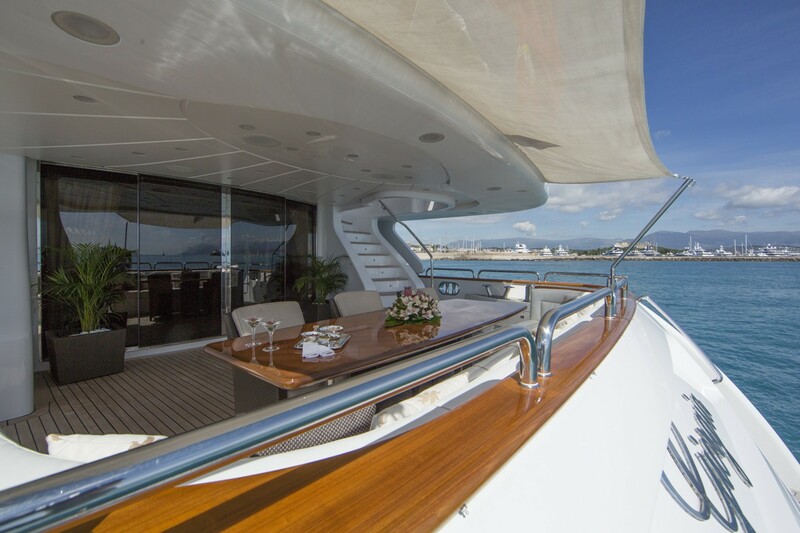 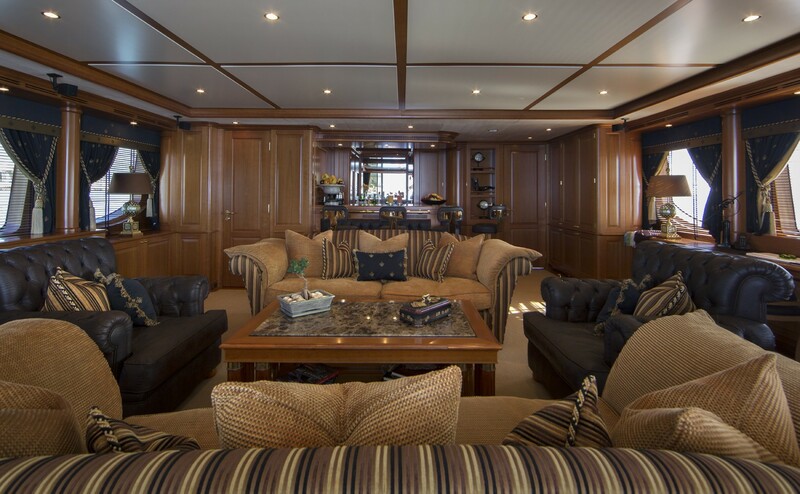 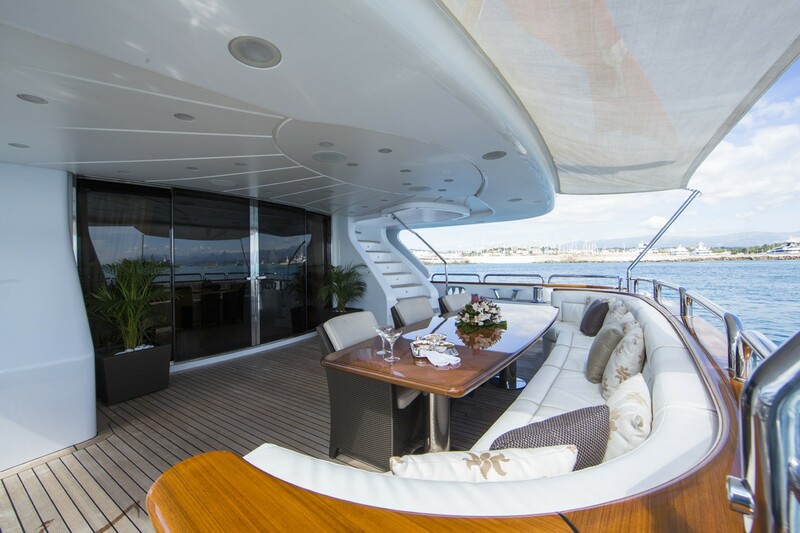 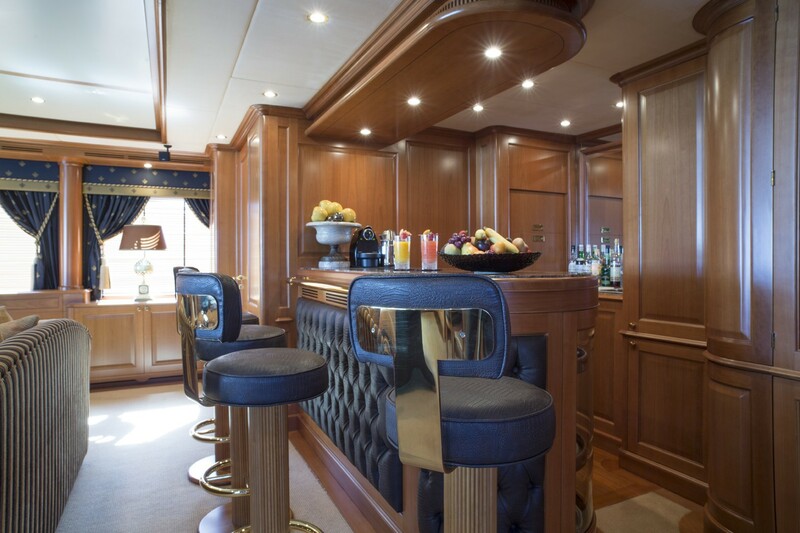 This Benetti motor yacht’s interior styling could be described as understated elegance with a contemporary edge. 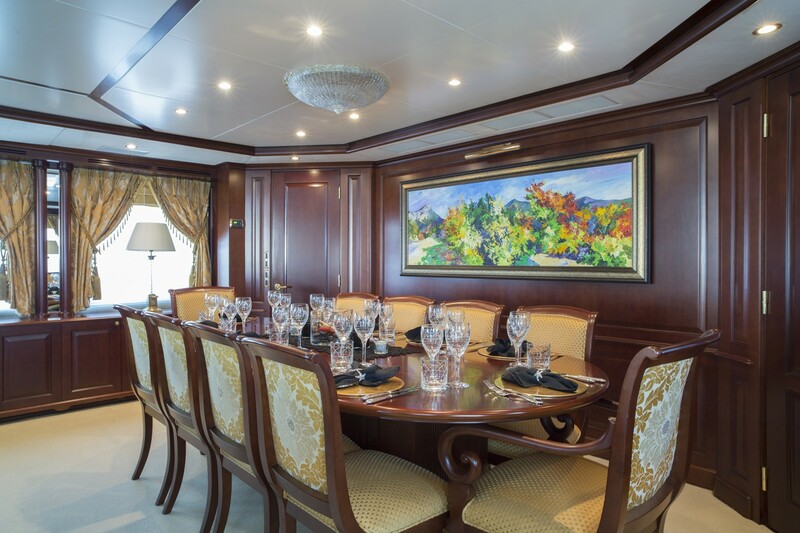 GIORGIA’s Main Salon and Formal Dining areas are dressed with luxurious colours and fabrics which help to create a universal and timeless appeal. 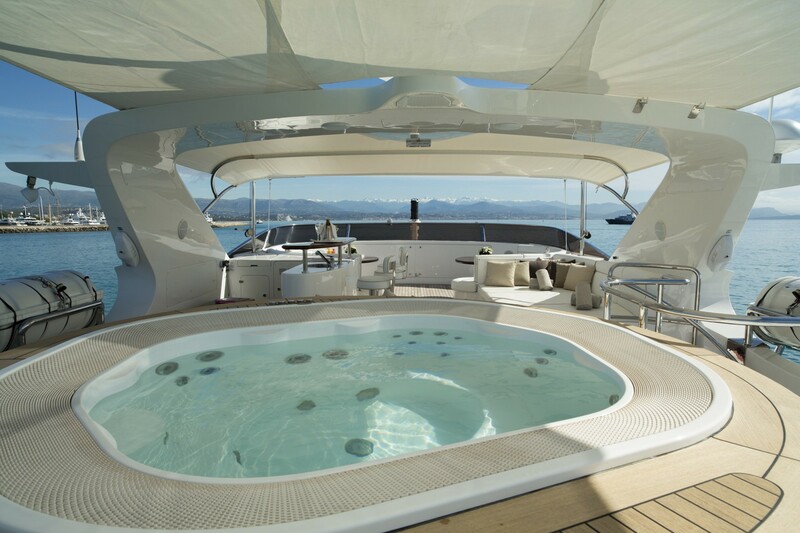 Her Sky Lounge has a slightly less formal air to it in comparison. 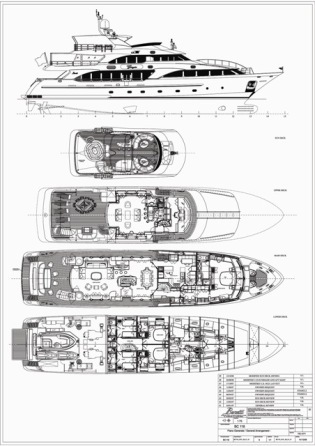 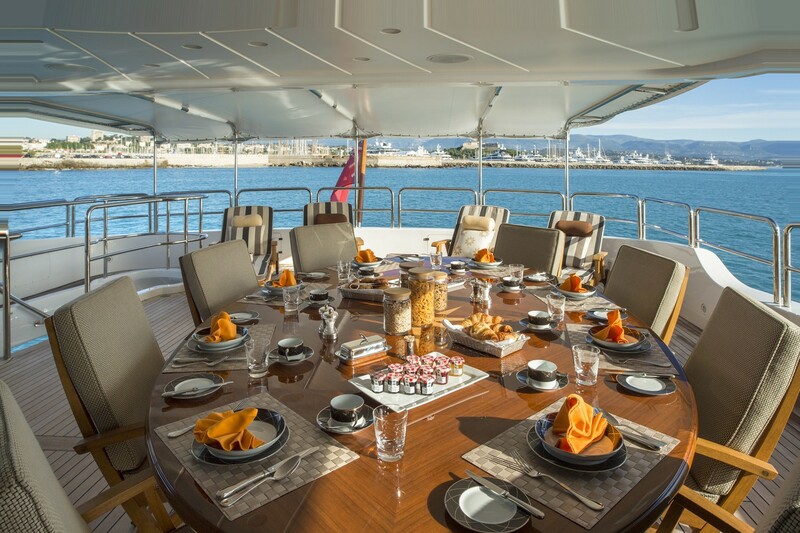 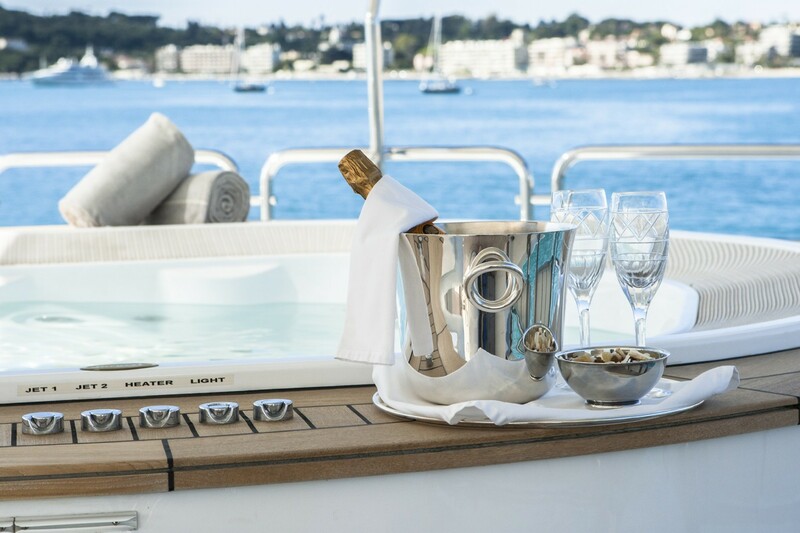 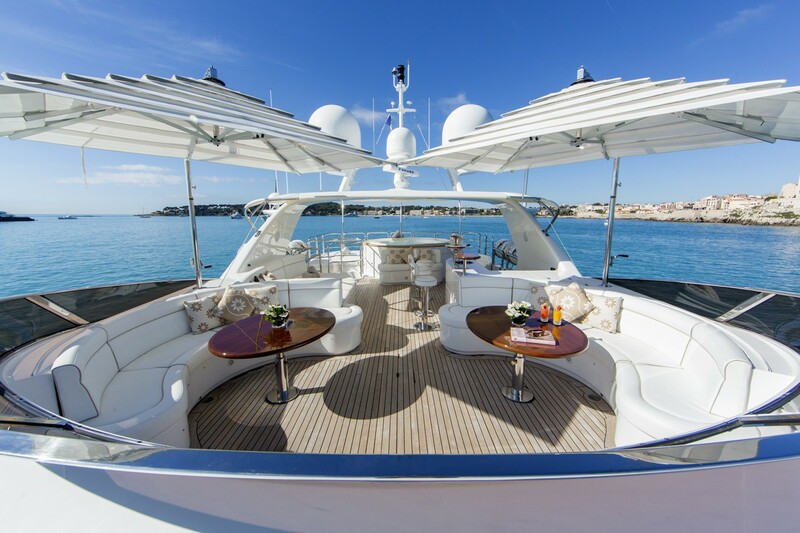 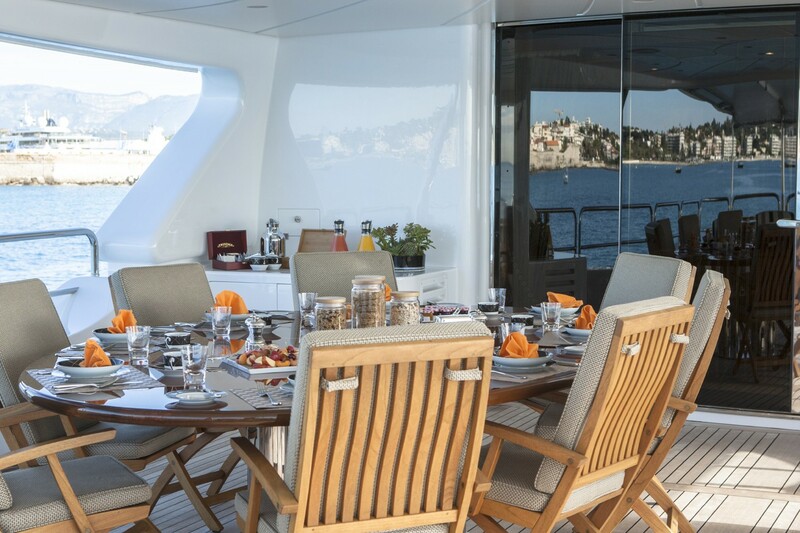 In addition the yacht will be fully equipped with the latest state of the art entertainment extras and an extensive list of water toys, top deck Spa Pool as well as zero speed stabilizers for maximum comfort at sea. 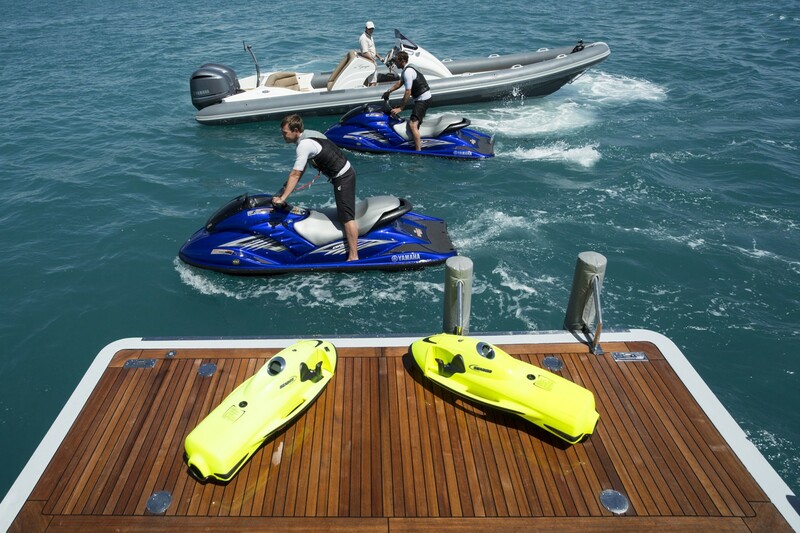 She is also registered as a Jet ski school! 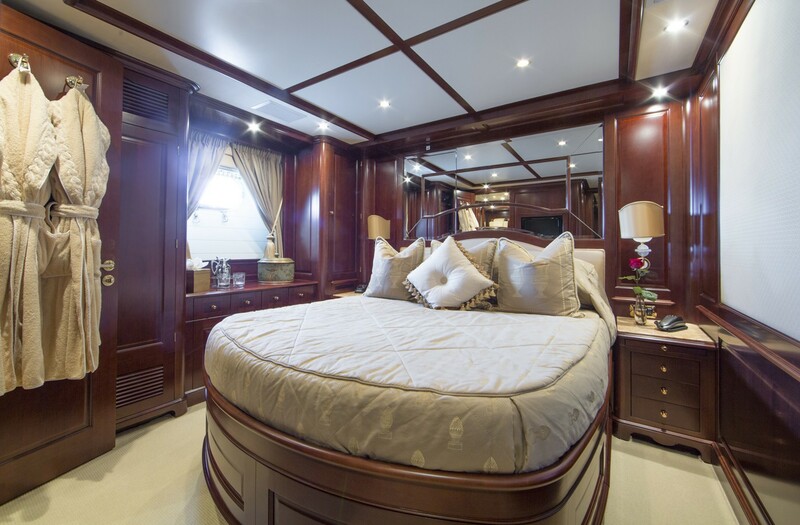 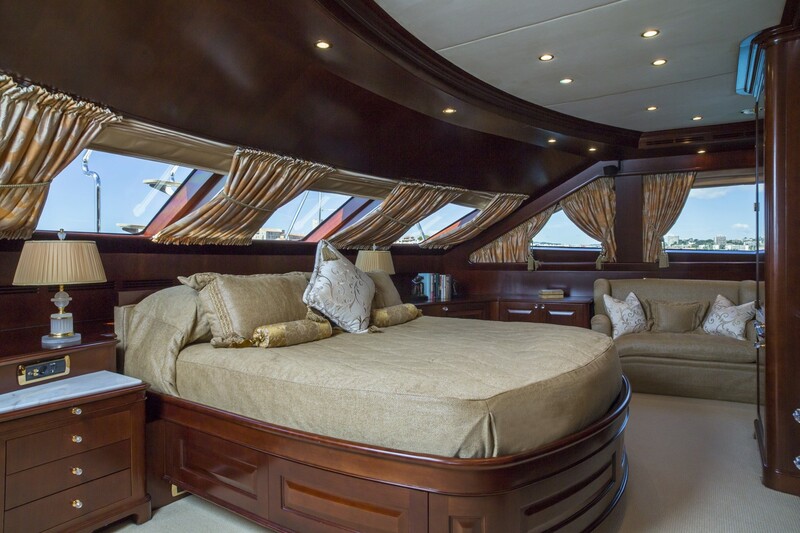 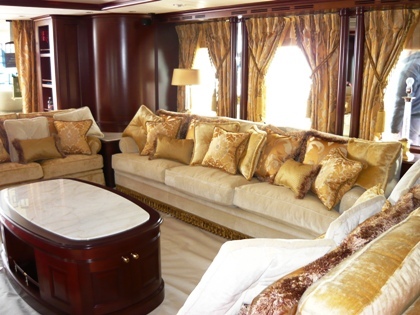 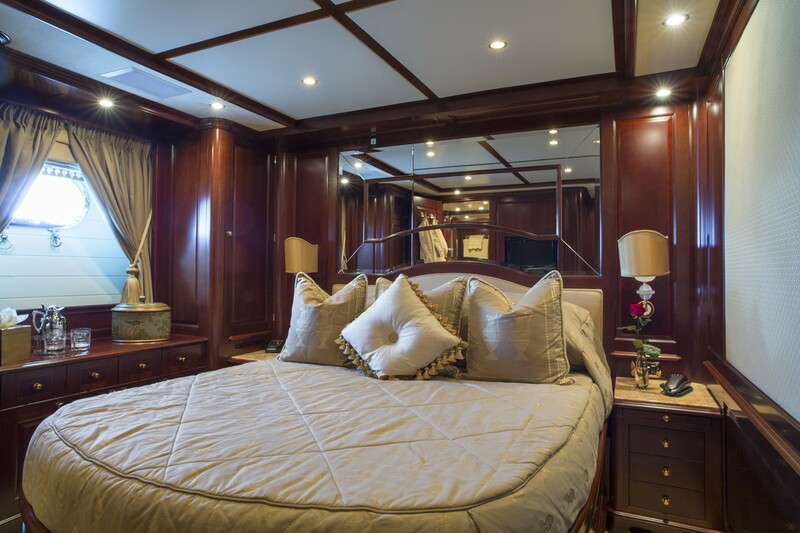 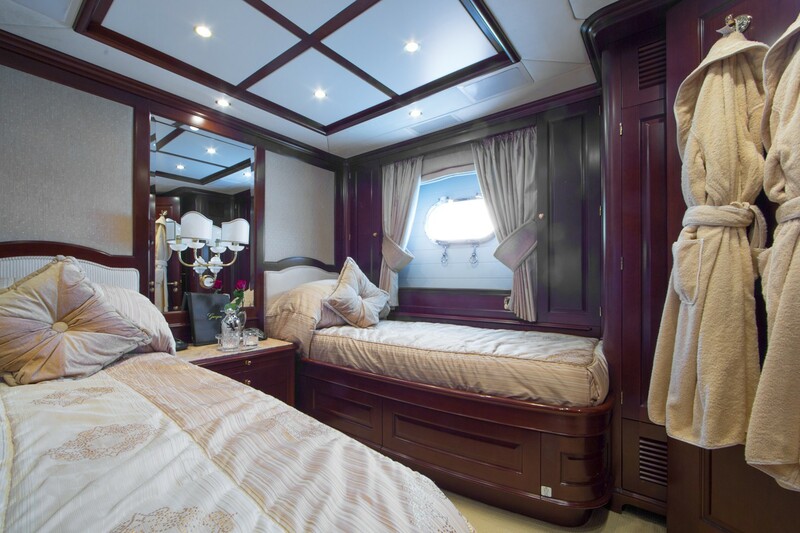 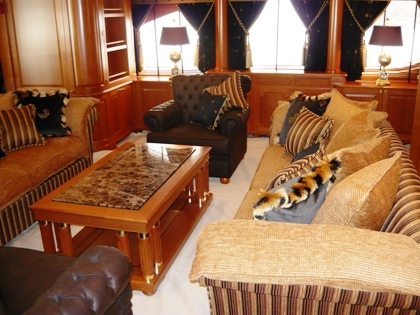 With accommodation for up to 10/12 guests and fully MCA Commercial her Master Suite is located on the main deck with the remaining cabins, 2 VIP and 2 Twin Guest Cabins below deck, all exquisitely designed with soft furnishings and marble bathrooms. 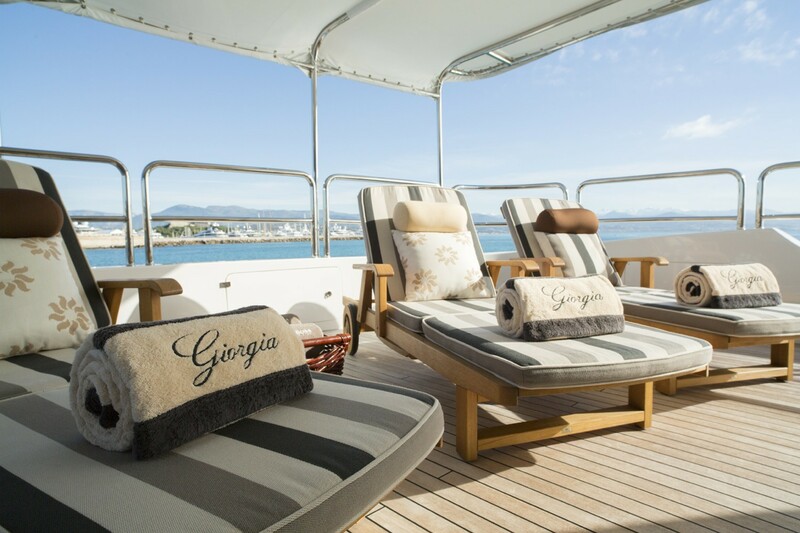 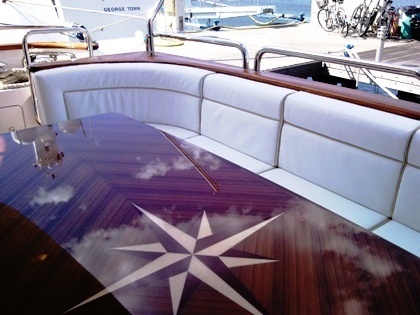 GIORGIA will charter with 7 professional crew members to make your yacht charter vacation special. 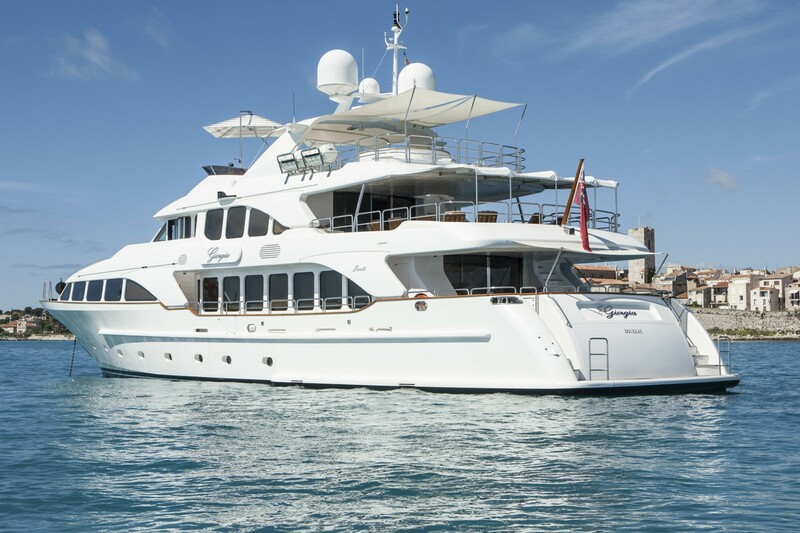 The beautiful Benetti Classic Giogia has been continuously updated and upgraded and with her new custom built chase boat she is a great option for a luxury yacht charter in Croatia. 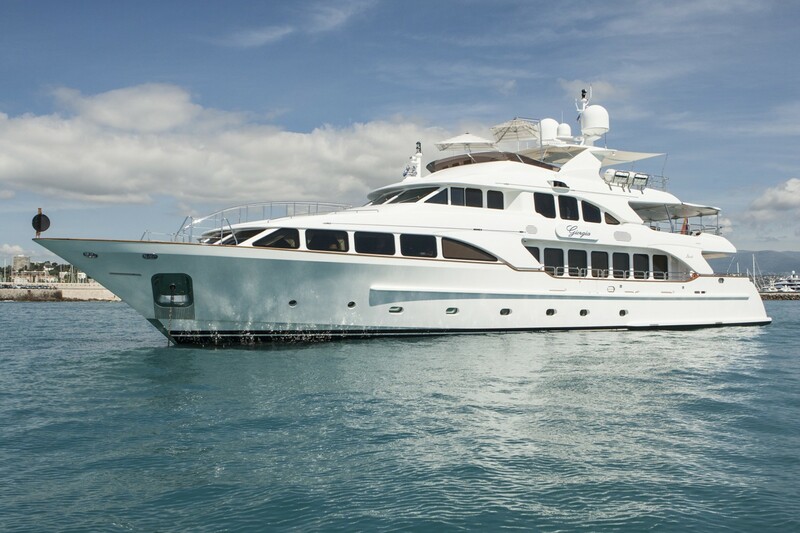 M/Y Giorgia- Benetti Superyacht from on Vimeo. 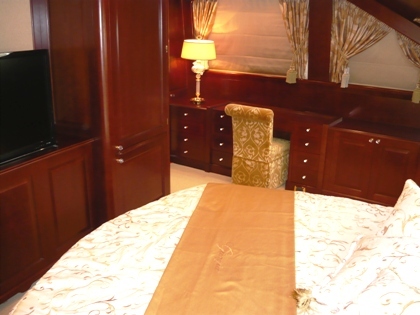 Master cabin on main deck with walk through study, ensuite bathroom with bath, shower and double sinks. 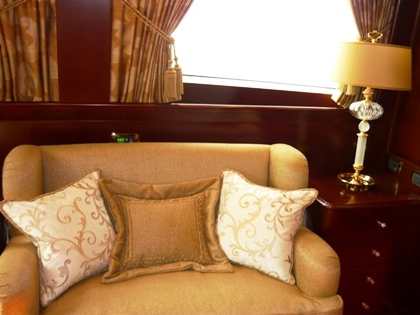 Lower deck: 2 double cabins with ensuite facilities 2 twin cabins (both with extra pullman berth) with ensuite facilities. 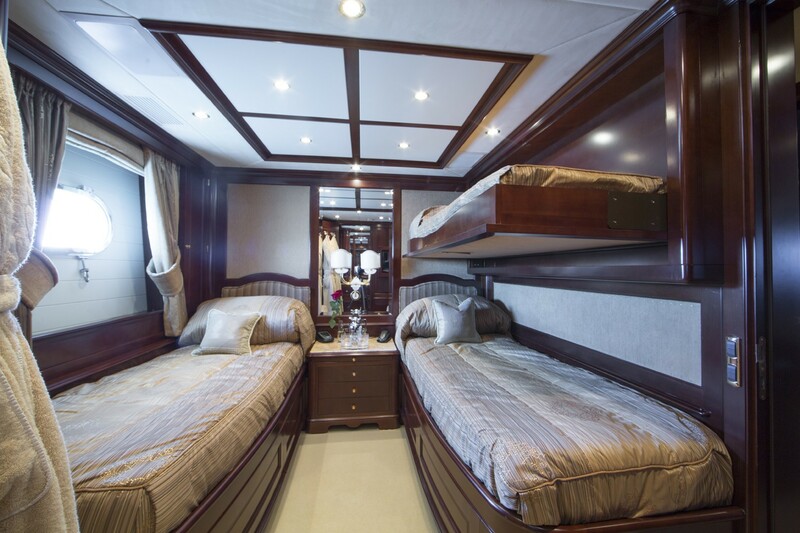 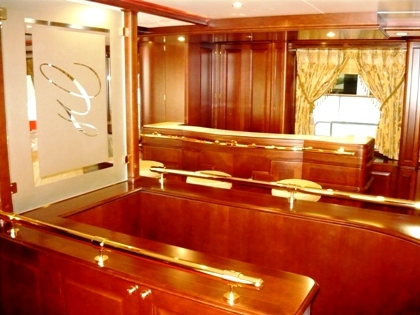 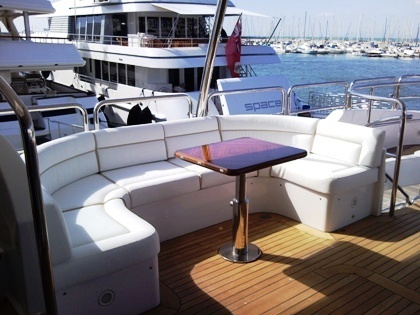 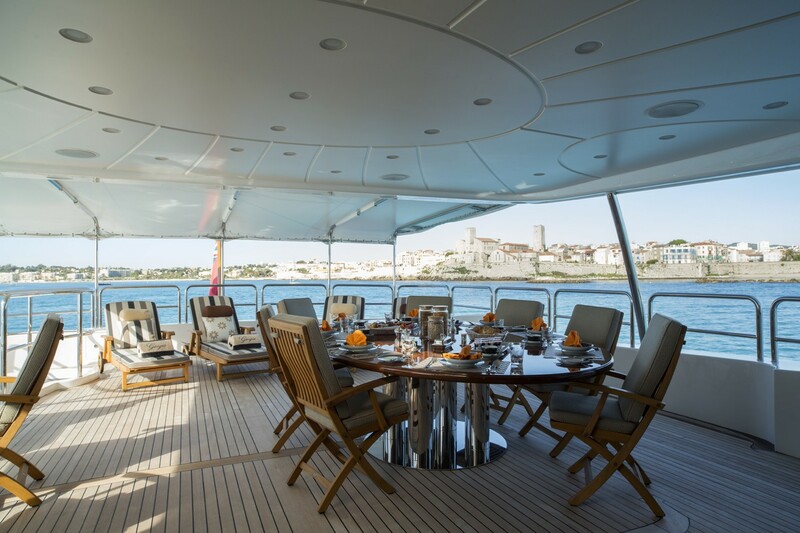 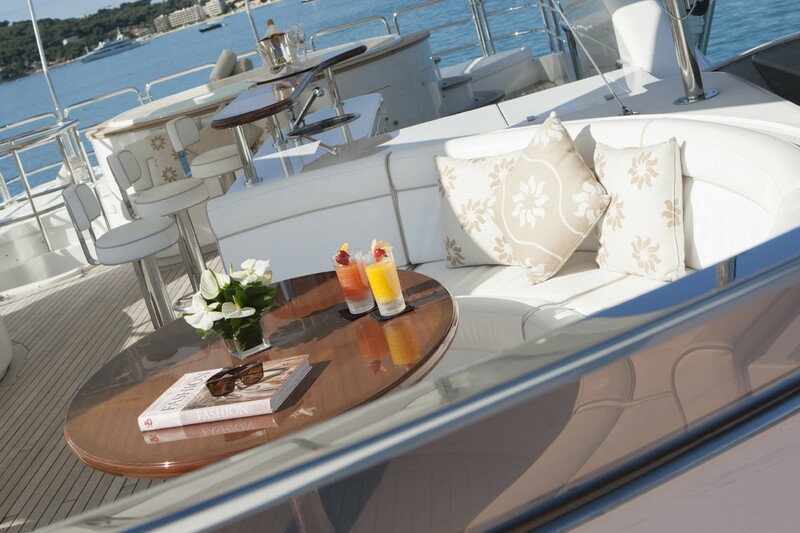 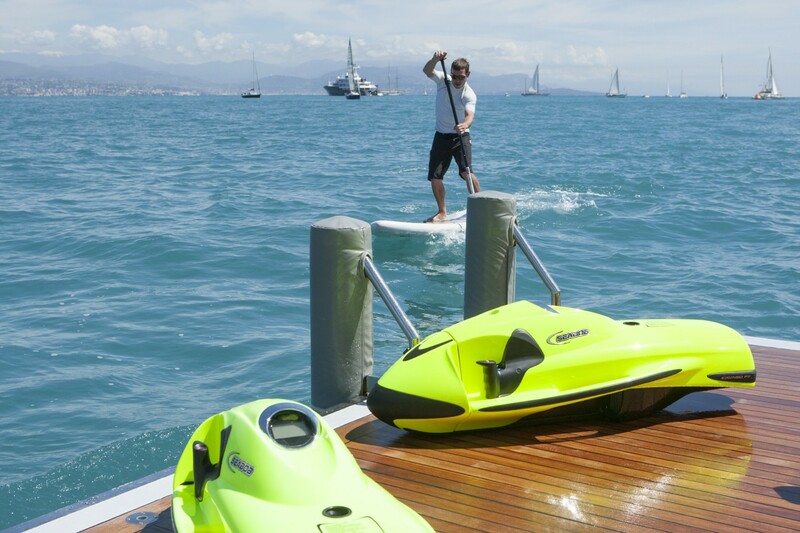 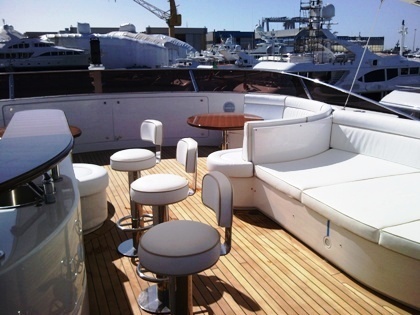 The yacht will accept the use of the pullman berths for extra children up to the age of 14 or perhaps a Nanny.